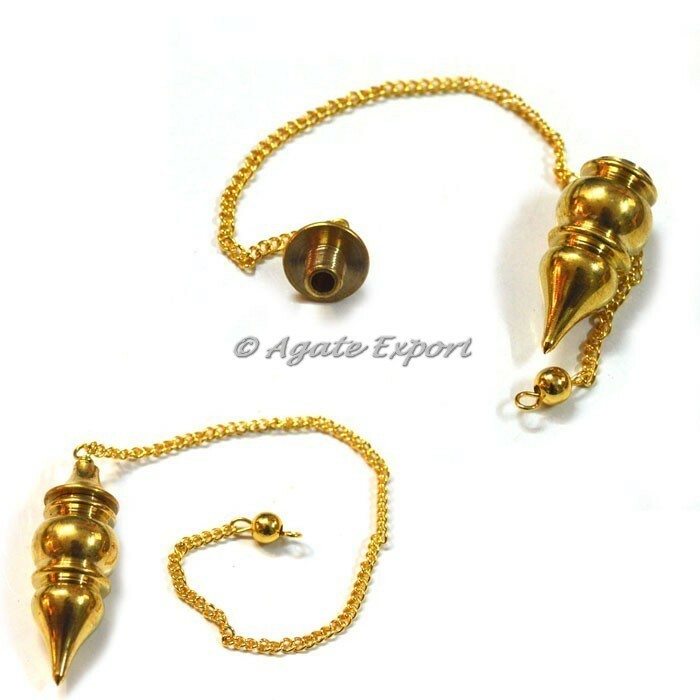 Exclusive collection of Healing Dowsing Yoga Chamber Metal Pendulums at Wholesale Price only at Agate Export. This amazing and attractive pendulum is available in size of 20 to 40 mm. It is connected with healing activity. Order online as soon as possible. Rose Quartz Golden Plated 3Pcs Pendulums.